The Society’s distinctive emblem, a golden key, essentially reproduces the design originated by the organization’s founders during the American Revolutionary War. On December 5, 1776, a group of young men who were then studying at the College of William and Mary in Williamsburg, Virginia, met to create a secret society, at once intellectual and social in purpose. It was the first society to have a Greek letter name, and in its initial period at William and Mary it introduced the essential characteristics of such societies – an oath of secrecy (discarded in 1831), a badge, mottoes in Latin and Greek, a code of laws, and an elaborate form of initiation. In their clandestine meetings, the members seriously debated a host of questions, such as “Whether a wise state hath any interest nearer at heart than the education of the Youth.” Fraternal sentiments were fostered, occasional meetings were held for social purposes, and anniversaries were celebrated in the Apollo Room of the Raleigh Tavern, as they are again now that the College of William and Mary has recreated the Apollo Room in the Phi Beta Kappa Hall on the Williamsburg campus. The original Phi Beta Kappa Society had an active life of only four years, ending when the approach of British troops under General Cornwallis forced the College of William and Mary to close its doors. But the faith of those youthful scholars in the permanence and future greatness of their Society is shown by their preparation of charters for branches in other colleges. The two charters voted upon and granted during that period went to Harvard, December 4, 1779, and to Yale, four days later. The charters were delivered to groups in New Haven and Cambridge the following year and subsequently the Alpha of Connecticut was established at Yale (November, 1780) and the Alpha of Massachusetts came into being at Harvard (September, 1781). While the Alpha of Virginia at the College of William and Mary was inactive between 1780 and 1851 and again from early in the Civil War until 1893, the Alpha at Harvard has had an uninterrupted existence and the Alpha at Yale has been inactive only from 1871 to 1884. These two chapters largely determined the permanent character of Phi Beta Kappa and shaped its policy in the establishment of other new chapters. The two New England branches preserved the essential qualities of the Virginia experience, adopting some changes in procedure to suit local conditions. Shortly before the close of the college year, the members selected from the junior class a small group of leading students who in the following year constituted the “immediate society.” The continuing custom of annual anniversary celebrations led to many significant contributions to American prose and poetry. Ralph Waldo Emerson delivered an oration at Harvard’s 1837 celebration entitled “The American Scholar” later adopted as the name of Phi Beta Kappa’s quarterly journal. Fifty years after the Society’s extension into New England, only four additional chapters had been founded: Alpha of New Hampshire at Dartmouth in 1787; Alpha of New York at Union in 1817; Alpha of Maine at Bowdoin in 1825; and Alpha of Rhode Island at Brown in 1830. In each case, the new charters were granted by the concurrent action of the Alphas already chartered. Fifteen additional chapters were established in the succeeding 30 years. In 1881 there were only 20 active chapters – with the exception of three in Ohio, all were situated east of the Alleghenies and north of the Mason-Dixon line. At the centennial celebration of the Alpha of Massachusetts on June 30 of that year, to which the other chapters had been invited to send representatives, a proposal was made by the delegate from Hobart to effect a closer union. After consideration then and in later meetings, a constitution was prepared, adopted, and ratified and on September 5,1883 the first National Council of the United Chapters of Phi Beta Kappa began its sessions. A revision to the constitution in 1937 strengthened this union, at the same time safeguarding the rights and liberties of the individual chapters. By the time the United Chapters of Phi Beta Kappa were founded, about 14,000 persons had been elected to membership. 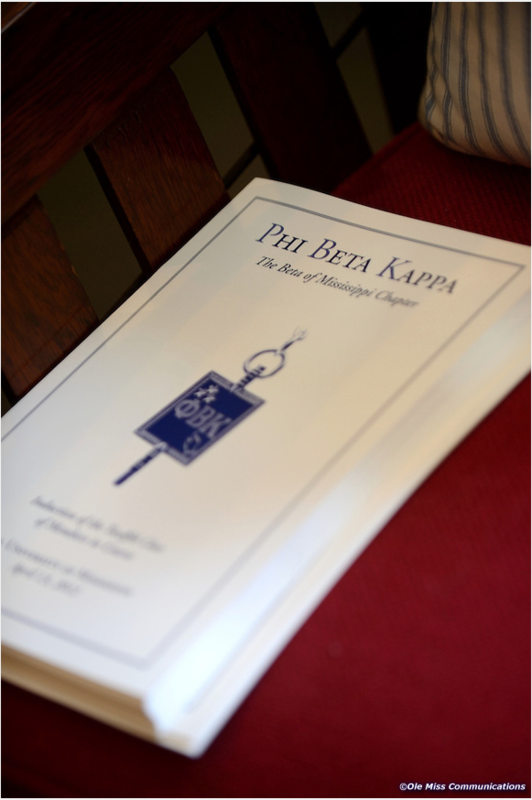 Three important changes marked the first century of Phi Beta Kappa’s history. The anti-Masonic agitation of the 1820s led to much discussion at Dartmouth, Harvard, and Yale of the Phi Beta Kappa oath. In 1831, the Alpha at Harvard was the first chapter to remove the requirement of secrecy. In 1883, when the United Chapters of Phi Beta Kappa were organized to bring together the scattered chapters into some national uniformity, the last vestiges of secrecy disappeared. A second change was more fundamental. Originally Phi Beta Kappa had been a society of congenial spirits, similar in its basis of membership to the present-day fraternity, and in the character of its meetings to a debating or literary club. As time passed, it tended more and more to become an “honor” society, existing to recognize and to foster excellence in liberal learning at the undergraduate level. Another necessary development was the admission of women. The Alpha at the University of Vermont, finding in 1875 that two women had met the scholastic requirements, admitted them to membership. The following year, four women were elected by the Gamma of Connecticut at Wesleyan. This step, regarded in some quarters as revolutionary, aroused no formal protest. A few years later, when a general constitution and bylaws were adopted, the right of women to membership was accepted without question. In the years since the organization of the United Chapters, the number of chapters has increased from 25 to 262, and the membership has grown accordingly. In 1900, when the first general catalogue was published, the living membership was about 10,500. Today it is more than 500,000. As the organization acquired a truly national character and some of its members created off-campus Phi Beta Kappa associations to foster the Society’s educational mission, it became increasingly clear that the term “United Chapters” no longer described the scope of Phi Beta Kappa’s programs. In 1988 the delegates assembled at the 35th Council voted to change the organization’s name to “The Phi Beta Kappa Society.” This more inclusive designation, also the historic name of the Society, now appears on all of the organization’s legal documents and publications. Technically, the successful quest for a chapter at the University of Mississippi began when Professor Ronald Schroeder and Chancellor Robert Khayat delivered the University’s preliminary application to the Phi Beta Kappa Society’s Washington, D.C., headquarters in late October of 1997. That 108-page preliminary application was the result of many months of work led by Schroeder, who served as chair of the university’s Phi Beta Kappa Faculty Application Committee. This was the third time since the 1970’s that the University of Mississippi had sought to shelter a chapter of Phi Beta Kappa. This time around, the committee’s preliminary application was well received. Work began on a much longer General Report. The first good news came in the form of an exhaustive site visit to campus from representatives of the Committee on Qualifications in February 1999. Then, in May, perhaps the most meaningful step was taken when the Committee on Qualifications recommended the application to the Phi Beta Kappa Senate. In December 1999, the Senate recommended to the full Council of Phi Beta Kappa that the faculty of Ole Miss shelter a chapter. The final step in the process came on October 21, 2000, when Council delegates from all the chapters in the nation voted to award a chapter to the University of Mississippi. 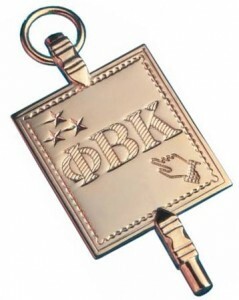 The University of Mississippi Chapter of Phi Beta Kappa, the Beta of Mississippi, was chartered on April 6, 2001. It is the second of only two chapters established in the state, with the Alpha of Mississippi Chapter residing at Millsaps College. Ole Miss is now among a group of only 262 colleges and universities in the nation to shelter a chapter. In addition to recognizing outstanding undergraduates at an annual initiation ceremony, the University of Mississippi Chapter sponsors lectures by distinguished Phi Beta Kappa Visiting Scholars. At the chartering ceremony on April 6, the Beta of Mississippi Chapter also initiated its first class of 56 Members in Course and recognized five Foundation Members. Their names are listed on the Members pages of this web site. The effects of this generosity go far beyond the Phi Beta Kappa Initiative; they will be seen and felt by students, staff, faculty, and the administration of the University of Mississippi for many years to come. This text is reproduced primarily from the Phi Beta Kappa Society website.